Hi all. I know there’s lots of literature on how to dip your fish to get rid of parasites. But I want to know how often you can dip a fish and I haven’t been able to find any answers when scanning the forums and web at large. I have a fish that’s gotten to be covered in ich. Very visibly so with large dots. I know dipping won’t eliminate the problem with the parasite still living in my tank. But I dipped my fish this morning in fresh water for 5 mins and watched the majority of the ich fall off or seem to disappear after returning the fish to the tank. I don have a quarantine tank or I would be using it. And I don’t want to treat the whole tank with chemicals if I can avoid it. Currently the fish is behaving as if it were healthy with somewhat elevated breathing but still eating well and swimming normally. bottom line. I do plan to dip this fish again as needed to prevent it from ever reaching a point of no return but I’d like to be as aggressive as I’m able. How often can I dip my fish? Twice a day? Every couple days? Every couple weeks? Etc. Twice per day almost qualifies as waterboarding. How big is your tank and what you keep in it? What's your filtration and what's in it. There might be a way to help you ...... a little. did u get yourself a tang for biocube after all the feedback? Don't recall any other fish on your wishlist to be ich-y. Actually it’s a magnificent fox face rabbit fish. I couldn’t see that it was infected while at the store I suppose although I did look carefully but after two days in my tank it had grown to be a real problem (especially trying to avoid the spines when dipping). No I heeded the advice about the tangs. Didn’t expect ich from a rabbit fish though. It’s a 30 gallon bio cube. Substrate is about 3-4 inches of fine sand. 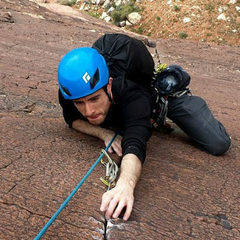 Lots of live rock. Medium flow. Lots of coral frags I don’t want to kill. Filtration is just what I could fit in the back. 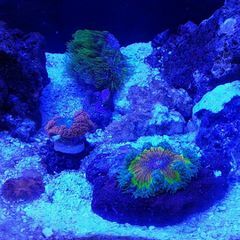 Some activated carbon, a small skimmer, a grow light and some macro algae, and some coral rubble. Other than that I’m worried about the cleanup crew and cleaner shrimp when it comes to chemical treatments I’ve heard of. What’s your prescription? umm, I'm no expert, but a fox face gets a little big for a 30 gallon no?? Besides that fish being in too small of tank, you are gonna need to go fallow for 8 weeks. Now that you've introduced that to you main display it's going to infect all other fish. You're gonna have to QT it and treat it. Or you'll have to bring it back to the store and still go fallow. The good news is there aren’t many other fish. Just a couple of percula clowns. And I do have a differen tank I can move them to. 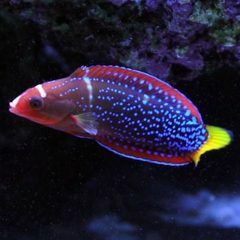 Also I have been warned about the size of the rabbit fish but it is currently small and my LFS agreed that if it grew and I returned it they would give me equal store credit when I bring it back. In any case even with other treatments won’t dipping the fish still help? I’d like to do as much as I can do as often as it’s safe to dip I plan to dip. Thank you so much for sharing! Hopefully you guys and gals find it helpful! Not if its ich. The white spots are cysts and dipping wont do anything to get ride of it. You have to let the cycle play out and the only way is to qt it. Ich is tiny white spots like sugar sized. If they are large then I have no idea what it is. Haha thanks. Didn’t realize I never said in the original post. I’m real excited about the new addition and I want to cure him rather than return him. I’ll definitely check out that video. Thanks! Ok if I just have to let it run it’s course then I guess I’ll monitor my other couple of clowns closely and only dip it if it looks overwealmed again? The problem with a parasite or anything like that is once it's in the tank it's going to be in the tank as long as it has a host. The only way to be rid of it is to go fallow and it will die off because it has no host to keep the cycle going. Sounds like to me you're going to have a battle on you're hands if you don't catch the fish and treat everyone. Well I gave a second smaller display tank (20 gal) and a 6 gal nano cube that could temporarily house the perculas I suppose. But how does moving the fish really help? (A little embarrassed I don’t know what you mean by fallow) if I move the sick fish to any other tank wouldn’t the parasite just start its life cycle in that tank too? I can remove the other fish but I don’t know how to separate the sick fish from an environment that perpetuates the life cycle of the ich. It's not a cure or 100 percent guaranteed method but, I have had fish with shuttered immune system or stressed to the point that it fell victim to this parasite. These are my experiences and methods that worked for me in my tank setup. So take it as another anecdotal story or try it for yourself and see if that helps your situation. I'll list steps from 1st to last as needed if there is no improvement in heath of your fish. Since you don't have quarantine setup (a proper one that is) these steps should help in ich control (reducing outbreak) and strengthen immune system of that fish. Without use of cooper, quarantine or other harsh "medication", this is the best that you can do at the moment. - fresh water dip can be stressful and you want to reduce stress at all cost. Use this for dipping as an alternative (you can do it daily if needed but don't over do it if it isn't needed). You'll need two buckets and CLEAN saltwater. Match salinity and temp. You might also need an air stone. Follow instructions. - use smaller multiple feedings with variety of food. You can use garlic additives to soak your food portion in if you got it. 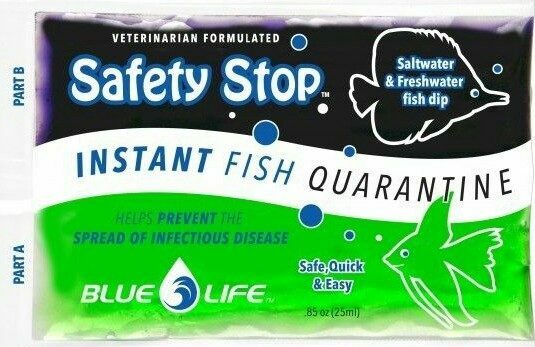 I would also use this to help your fish rebuild her weakened immune system. It worked for me for years and it's totally reef/fish safe. If that doesnt show any improvement, you could also vacuum your sandbed, do large water change every other day, replace your filter floss or other polishing material daily. Almost forgot, turn off your skimmer for several hrs after adding microbe-lift. 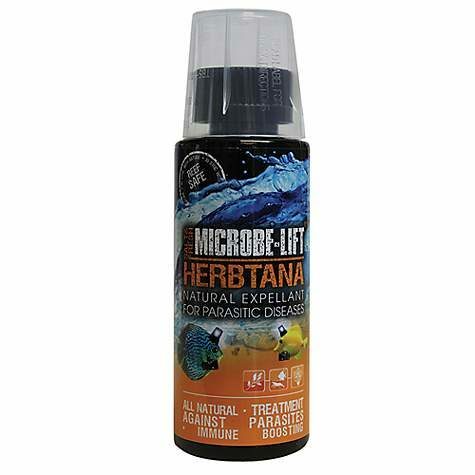 This should help your fish rebuild her immune system and reduce ich population to more manageable promotions. Wow! That is insanely helpful. Never found details like that anywhere after searching hours. I will probably try that right away depending on what my LFS has in stock and how soon it can be shipped. Really great advice. Thank you so much! So what blue said is really cool, I've never seen it myself. What I mean by fallow is fish less tank for 8 weeks. It's the length of time to be sure that the parsite in all stages will be dead. You are right when you move the sick fish the qt tank will have it as well. That's where you medicate to kill the parasites. You let the display go without fish for 8 weeks to rid the display of said parasites. Hope that helped a little bit. Ahhh so it’s a system that requires two tanks besides the display. One tank to move healthy fish to. So that they can remain healthy. One tank for the sick fish so they can recover and hopefully the parasites will die in 8+ weeks and the empty display tank that waits 8 weeks before you move back the healthy fish. The wait however long it takes the sick fish to recover + 8 weeks and then move them back to the display as well. Am I understanding right? Ehh, you don't need all that. So even though a fish doesn't show any symptoms it's mostly like infected. So you would catch all fish and put them all in qt and observe/treat at the same time. The display will be fishless until the 8+ week mark. While it's fishless you will be medicating the other other fish. I haven't had anything like this happen to me, so I don't know 100 percent on the right course of medicating. You should post up some pics of the spots though cause it sounds like something else and I hope someone with more experience in fish disease will take a look at what your fish has. I hope I was somewhat helpful to you. Actually it’s a magnificent fox face rabbit fish. I couldn’t se﻿e that it ﻿was infected while at the store I suppose although I did look carefully but after two days in my tank it had grown to be a real problem (especially trying to avoid the spines when dipping). No I heeded the advice about the tangs. Didn’t expect ich from a rabbit fish though. Your best bet is to bring the fish back to the LFS and pick a different fish. That fish is going to grow to 9" long and needs a 6' long tank, yet it's in a tank less than 2' wide. Take it back - they are not cheap fish and it won't live long term. He still may have to go fallow though.. what do you think? From all the reading I have done about fish disease, once you introduce all others are at risk even if they don't show symptoms. I know this will rub some people the wrong way but I have arranged with my LFS to return the fish when it outgrows the tank. They say they’re happy to take back any fish I buy that outgrows my tank. Because it’s more valuable as a large fish the deal is they give me equal store credit when I return the fish. I’m really just temporarily hosting the fish at the end of the day. I enjoy them while they’re here and I have plans to make sure they’re ok when they grow large. That’s why I feel I need to be a responsible custodian of the fish in my tank since some of them will belong to someone else one day. I hear other people do the same thing I am. Is it really that bad? I'm not gonna play devils advocate. If it was me, i would never do that to something. Think of it like this, a giant comes takes you from your house and puts you in a 3ft x 3ft room and says you can stay here and says when you get bigger i'll move you to a 5x5 area, hows that? It causes trauma to an animal just because you want it. Why do that to animal that you have no intention on keeping? I think of all my animals as my kids and I wouldn't ever do that to them. I have cichlids in a 75 gallon tank and I want to turn it to a reef tank. Been talking about for almost a year. I just can't bring myself to give them up cause I have had them for 7-8 years and they are part of my family. They may only be fish, but I value all my animals. I hope that makes some sense. We as humans do that a lot to animals and I personally don't think that's a right thing to do to something. Its bad enough that most of the fish we have are ripped from their giant ocean only to live out their life in a little glass box, the best thing we can do is make them feel somewhat at home in our houses and hearts.